I decided in my mid 30 something age that it was time to change careers for me. Some think I may be crazy to want to leave my current job of 16 years with great benefits and all…but it is time. I “landed” my current job on accident when I was 19 and did not intend to still be here 16 years late. It’s not what I wanted to do for my career… I need something more challenging, something I can use my artistic abilities for, a job that I can look forward to go to everyday, one that satisfies my little soul! Interior Design………. I did not get the chance to go to college after high school, other responsibilities were more important at that time. So here I am, in my 2nd week of spring term, I am now a college student while working full time at my current job!! Yikes! Just reading that sentence sounds crazy to me! The whole process has been a roller coaster, and I know I’m just at the beginning. My days start at 5am and usually end around 10pm. My family at home has been amazingly supportive in this huge transition! My son asked me the other night, ” So mom, how was school? Oh that’s so weird asking you that” he says…. yes, very funny to him! He is in his junior year and all I keep saying to him is, go to college right after high school! I really think it’s easier to do it when you are younger and with less responsibilities! Ahhh to be young again and full of endless energy! I have always welcomed a challenge though, bring it on I say! Work, school, blogging,being mom, and still making time for my workouts and bike riding….it can be done! We have learned to cook ahead on Sunday’s so I can take dinner with me to school right after work, and the guys in the house have something easy to grab. My sweetie is an amazing chef, that’s for sure, but he has long days at his job too! So to ring in the next chapter of my life, we are drinking Dark N Stormys… made with home made Ginger Beer from my last post and some dark rum, oh yes! The perfect cocktail to a crazy, hectic, long week with many more to come! 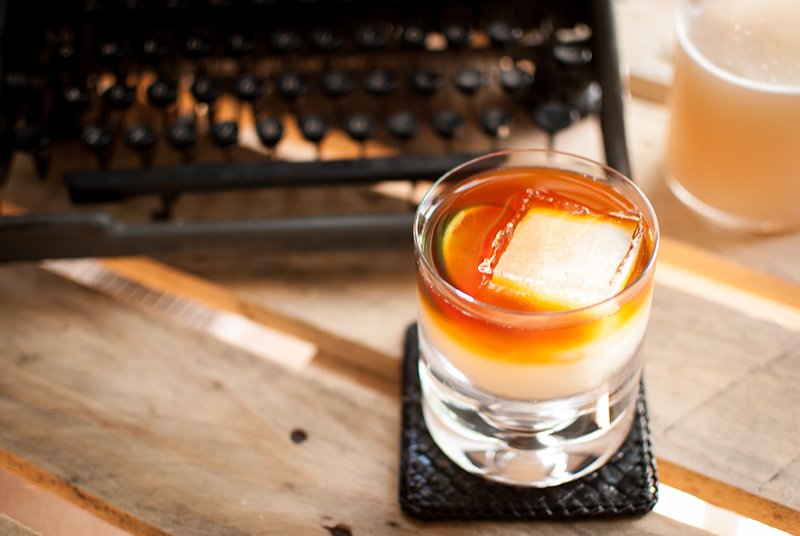 The bite of the ginger with the smooth dark rum and hint of lime, makes all the worries go away, at least for now. If you don’t have home made ginger beer, feel free to use any ginger beer. 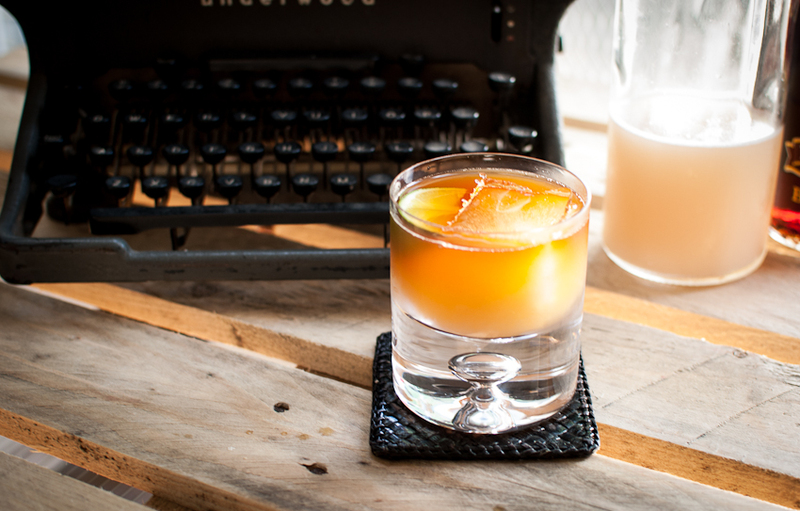 In a rocks glass, pour ginger beer over ice. I totally get making a career change later in life. I went to photography school last year (age 46) to pursue my creative side. 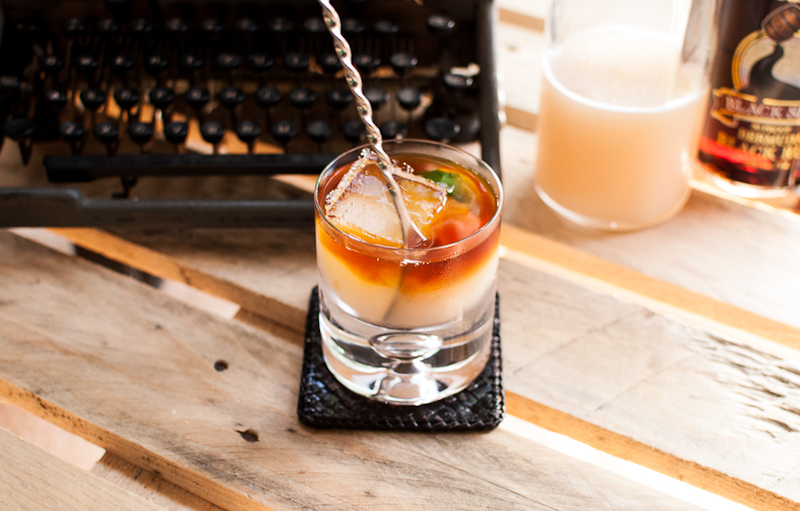 Love this cocktail, it reminds me of my favorite Cubra Libre but a lighter refreshing take on it. I’m pinning this and your ginger beer recipe. Good luck with the life change, if your photo styling is any indication, you’ll do fabulously. 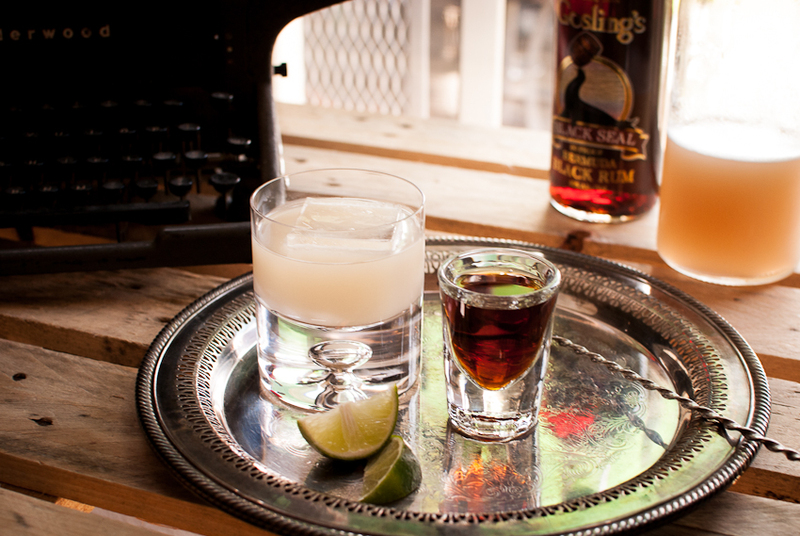 Thanks for the inspiration— I love a good Dark ‘n Stormy! Hi, I just found your blog while doing a recipe search (made your quinoa stuffed peppers and they were delicious!) Congrats on this new move in life, sounds very exciting! I’m happy I stumbled upon your blog and look forward to sampling more recipes and following along with your stories! I love this post, Tiffany. My grandma went back to school at the same time as her daughter (my mother) and they used to meet on the university campus for lunch. My mom also said it was strange to ask her mom about school when she was still in school herself, but I know she was so incredibly proud of her. So glad to have found your beautiful blog!